MARANELLO – At Scuderia Ferrari, Felipe Massa was not only exposed to the issue who leave. Fernando Alonso did not escape from a similar rumor. In contrast to Massa, Alonso reportedly frustrated by the performance of the car is still difficult to compete with rivals – Sebastian Vettel. If the mass is said to be resigned or was sacked because of his own performance, Alonso gossip factor is more to car problems. Of the nine series that has been passed, the Spanish driver was still struggling for a consistent set-up on his F138 car. You could say, the achievements of the podium five times, including two times the main podium, more due to his own skill as Alonso winning two world titles in 2005 and 2006 seasons. When asked of his manager, Luis Garcia Abad, the rumors were brushed away. “(Rumor) was unprovoked. 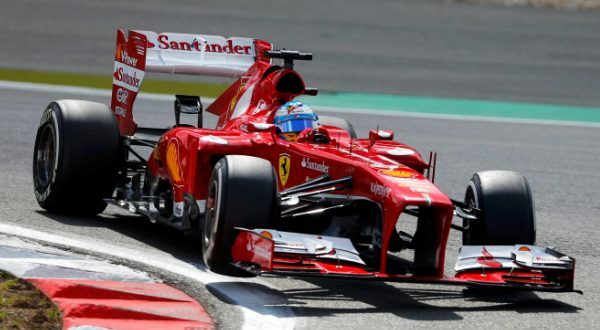 I would suggest a change in the team just because (Alonso) failed to win a title (since joining Ferrari), “said Abad, as cited Formula1FanCast, Tuesday (23/07/2013). “Alonso is the fourth most widely rider won the Grand Prix. He also won two consecutive seasons. Some riders even retired from Formula One without winning any of the series, “he concluded.